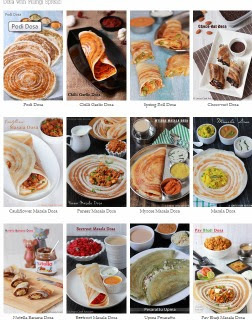 Daily we eat Rice for lunch and for dry curries we have so many options. For pouring Curries we have very limitted options like Sambar, Dhal curry, Rasam, Mooru Curry. 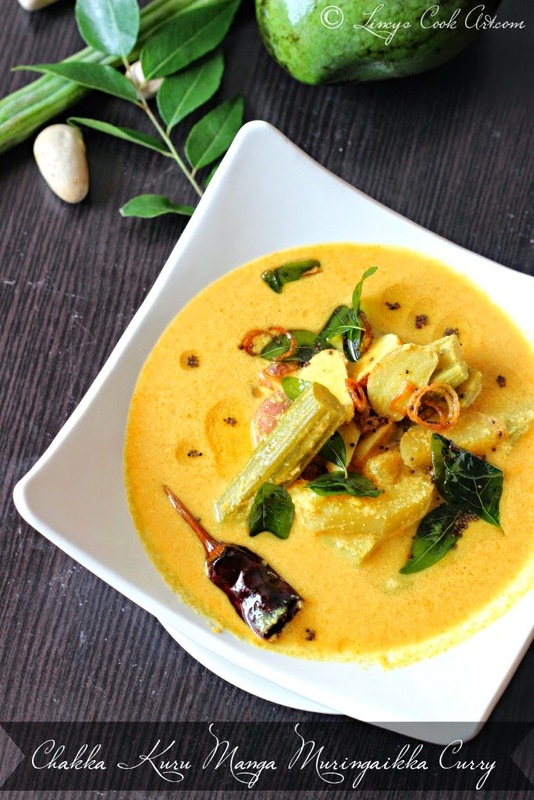 This curry is a Kerala Special creamy tasty curry with well balance of taste and flavours. Entirely a different curry from rest of the curries. Easy to make curry with simple ingredients which are easily available. Try this easy to make curry and make your family members happy and relish your taste buds. Same curry can be made as non vegetable version with fresh prawns or with dried prawns too. Peel the Jack seeds and scrape the brown layer as much you can and chop them in to lengthwise 3 to 4 pieces. Cut the Mangoes into medium sized pieces. Cut the Drumstick also in to pieces. In a deep pan add Jack seeds, Mangoes, Drumstick and Green chillies and add a cup of water and salt close with a lid and cook till the jack seeds becomes slightly soft. Add the turmeric and chilli powder and mix well and allow to cook for a minute. Grind coconut, jeera, pearl onion, garlic as a fine paste in a blender. Add this ground paste and add enough water to dilute the curry. Allow this curry to just get the boiling stage and switch off the gas. In a separate pan add oil and splutter the mustard seeds, chopped pearl onion when the mustard seeds starts to splutter add the dried red chiili and curry leaves. Fingerlicking curry, who can resist to this mouthwatering dish. kothipichuuu...its hard to find chakkakuru here,love it!! Lincy this curry looks superb and you know what my neighbour is a mallu she used to give this curry often for us.